The Barron River is conveniently located just 20 minutes away from Cairns. 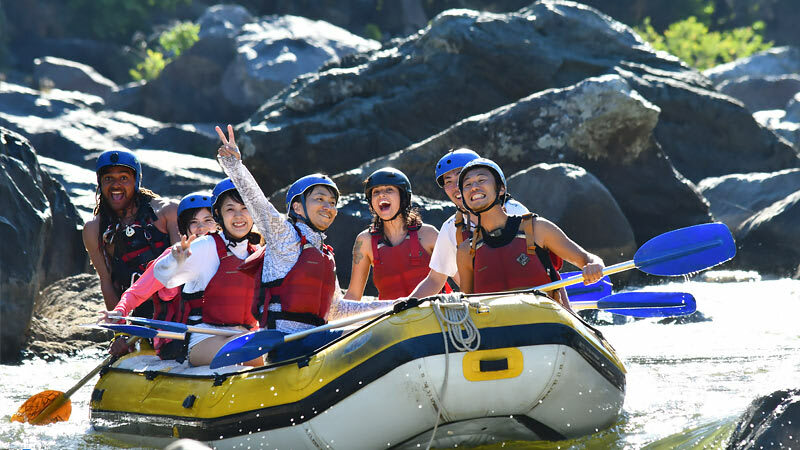 This half day white water rafting adventure leaves you plenty of time to enjoy other tours on the same day. The Barron River is conveniently located just 20 minutes away from Cairns. 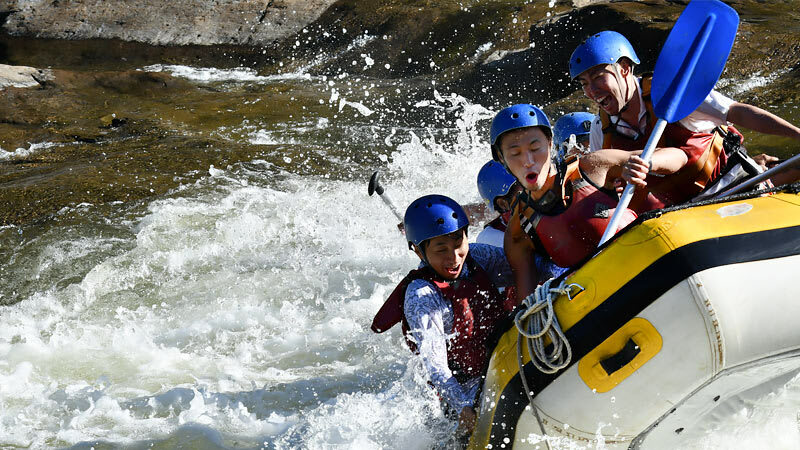 This half day white water rafting adventure leaves you plenty of time to enjoy other tours on the same day. The Barron River has grade 3 rapids, which means they are perfect for first time rafters. Your trained and experienced river guides will offer you all the tuition needed to enjoy approximately two hours of whitewater rafting - including a safety briefing, paddling techniques, what to do if you fall out of the raft and how to create the best splash in the water wars against the other rafts. Each raft holds a maximum of seven passengers and one river guide, who will guide you safely down your river adventure. Infact every one of our guides in expertly trained by internationally renouned safety company Rescue 3. When you arrive at the river you will be fitted with a helmet and life jacket, allowing you to float along the river should you happen to fall out. 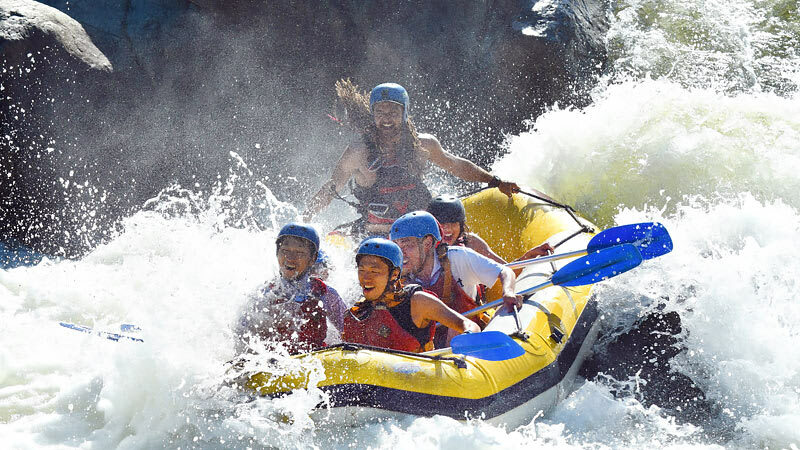 Its so safe that you don't even have to be able to swim to enjoy rafting. Plus all of the rafts stay togeather, traversing the rapids in a carefully planned sequence with guides providing cover from the river banks. During the day you will discover why the Barron’s rapids have names such as "Face Wash", "Butcher's Knife", "Kitchen Sink" and "Mother In Law". The Barron River is mainly grade 2 and 3 rapids. 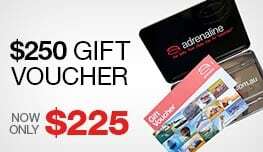 Trips depart daily from Cairns. 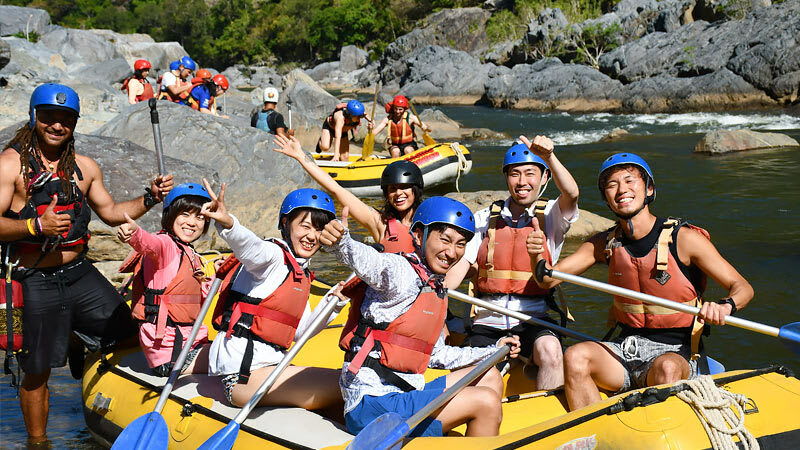 This half day of white water action begins daily at about 2.15pm and will have you returning to Cairns happily exhausted around 6.00pm depending on the day and river levels. Your trip will be photographed for you and will be available for viewing and purchase at the end of the day. You are welcome to bring along a waterproof disposable camera to capture the action. 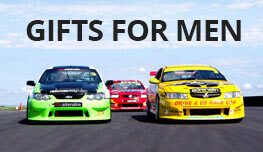 Free pick-up from all hotels and backpackers in Cairns is available. Amazing could not speak higher of the staff! Organised prompt everything you want clear instructions, before you start! Rapids are great fun, instructors were all a lot of fun and loud and clear with what you need to do in the raft! Great for all ages I have written reviews before and they don't all read like this so definately 5 star review for these guys! !